Join us for the Annual Eighth Street Elementary Tradition Trot 5k and 1 mile fun run on Saturday, March 2nd at Eighth Street Elementary. 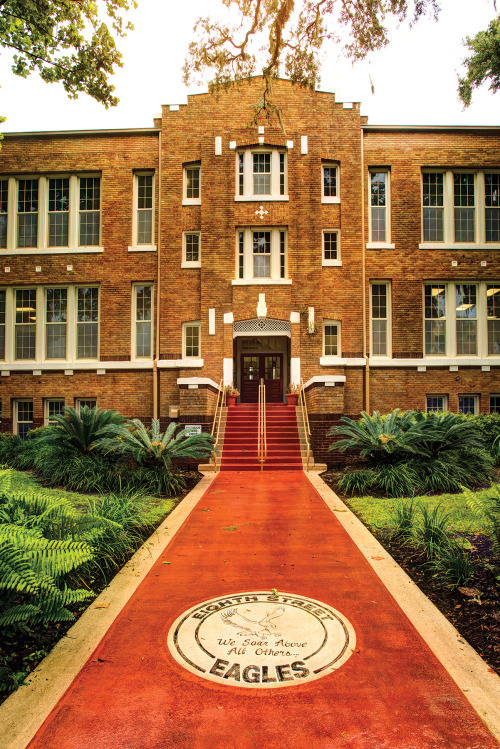 The race will start and finish at the Historic Eighth Street Elementary School. Come out and run through Ocala's Historic Downtown scenic neighborhood to support our neighborhood school! 5k will start promptly at 8 am; awards immediately following; Fun run will begin at approximately 9:15am following completion of 5k awards. Help us support our school's PTO goals of enriching academic experiences, enhancing extracurricular activities, and continued school improvement while enjoying a great run/walk through our downtown neighborhood! 8th street students: will receive their packets at school the week before the race. Overall, age group Awards, and a goodie bag.